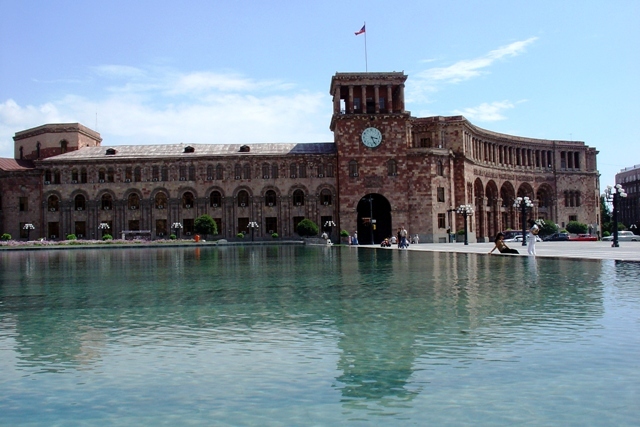 Republic Square | is the main square in Yerevan and is by far the grandest. It is surrounded by majestic buildings that light up at night to an even grander view. 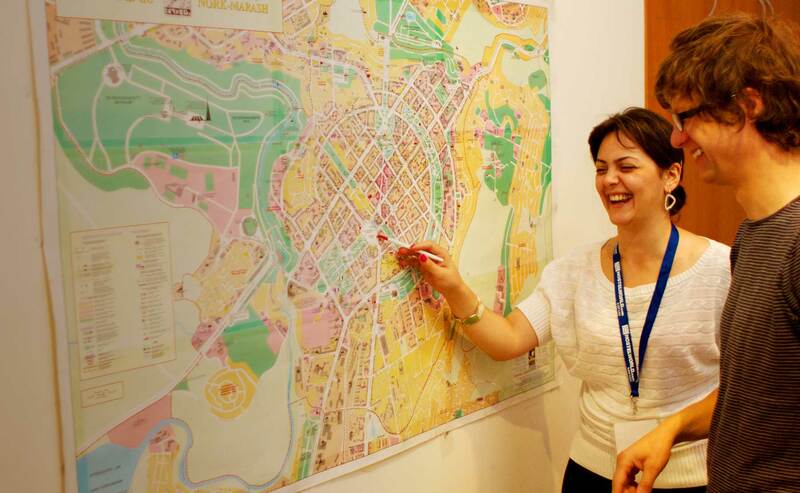 You will find the Marriott Hotel, Main Post Office, the History Museum and governmental buildings around the square. The History Museum faces a group of fountains that operate throughout the warmer seasons as the water ‘dances’ to music and light providing entertainment for all. 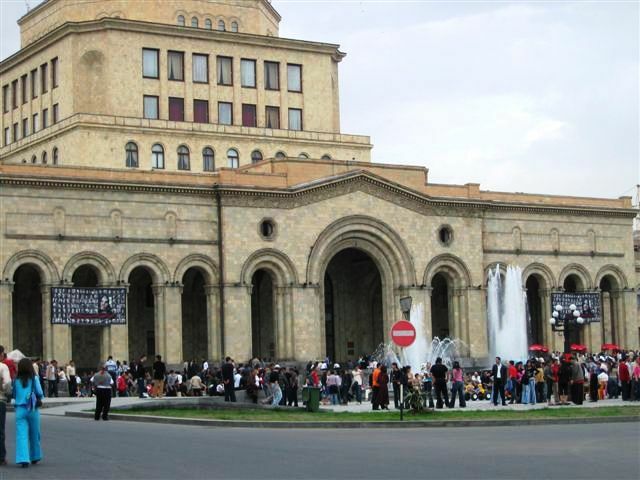 In the centre of the square is a round-about that has been constructed in 2003/ 2004 and it displays a ‘rug’ using all the different types of rocks known to be found in Armenia. Further across where a giant advertisement screen stands is the ex-location of the statue of Lenin once overlooking the square in Soviet times. 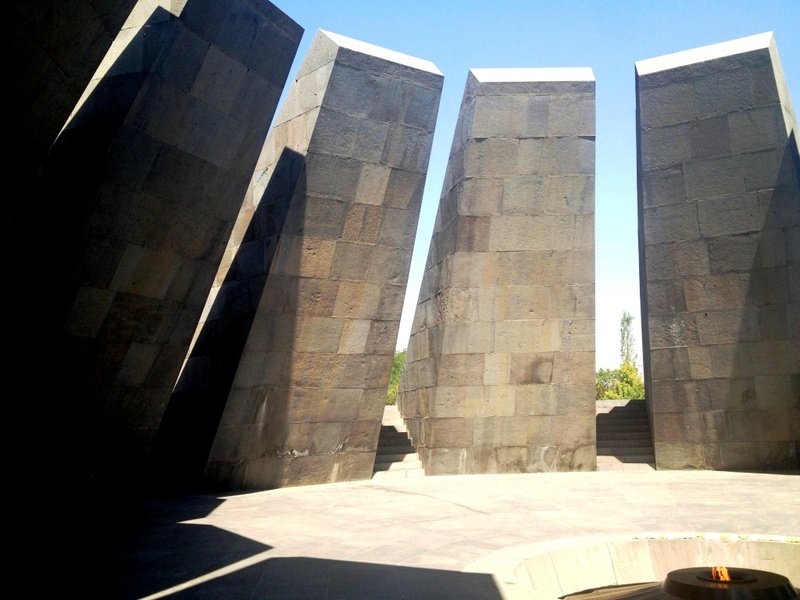 Genocide Memorial | in Tsitsernakaberd (close to the Hrazdan Stadium) in Yerevan holds the eternal flame in memory of the 1.5 million who were victims of the Genocide in 1915 by the Ottoman Turks. 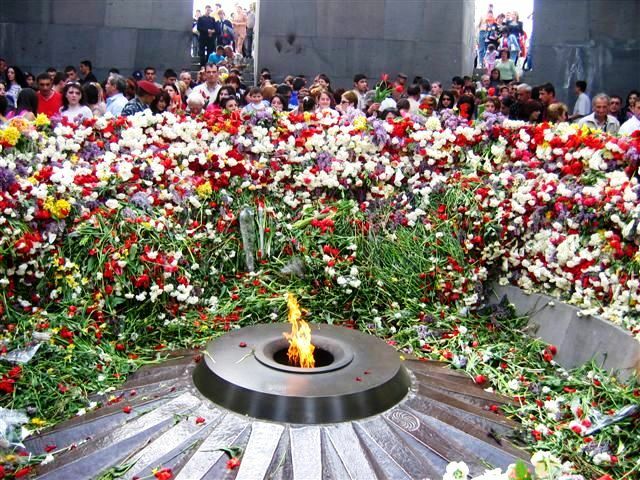 This memorial site is visited by Armenians every year on the 24th April, where the masses pay their respect and lay flowers around the flame. Indeed a somber occasion that shouldn’t be missed if in Armenia at that date. There is also a dedicated museum close by. 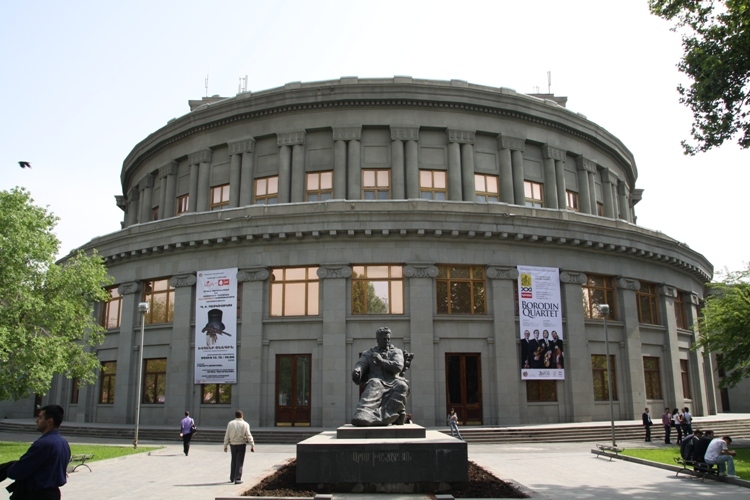 Opera House | occupying an entire block off Mashtots and between Tumanyan, Teryan and Sayat Nova streets, it is not only the centre for most cultural events but also a popular hang out due to the numerous cafés surrounding the building. While in Yerevan a cultural event is indeed an experience that should not be missed. Enjoy an opera (e.g. 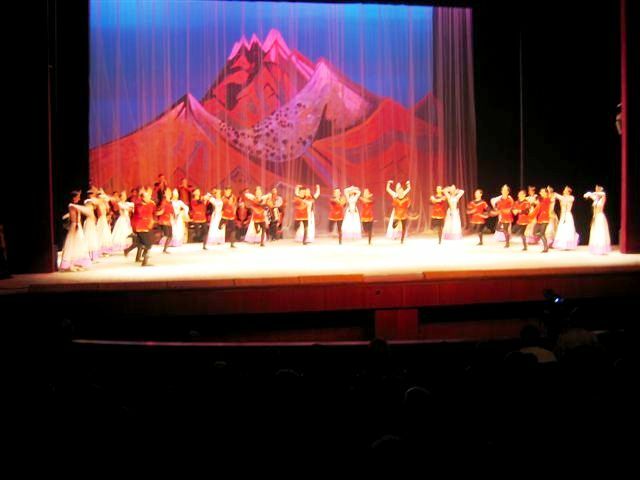 Anush or Guyaneh are well known operas) or a folk dance recital where maximum ticket prices are typically 3000 AMD for the best seats in town. Or if in town in summer, stroll up in the evening and you are likely to catch a free open air cultural show. And if none of this is your cup of tea then why not settle for a pomegranate tea or an Armenian soorj (coffee) at one of the cafes instead, and soak up the atmosphere. Cascade | is a project started in the Soviet era, and only finished around 2004 thanks to the assistance and support of the Cafesjian Foundation. It boasts a series of steps to the top of the hill known as the ‘Monument’. At the top of the steps a modern art museum known as the Cafesjian Centre for Arts. Scattered around the Cascade, you will also notice many other artworks as you climb to the top including a giant cat at the foot of the stairs (where there is an entrance to the escalator nearby). There are cubic people statues at the first level exit and playful rabbits at a further level up. In summer the stairs are even more impressive with flower beds in full bloom surrounding the entire climb. Also a nice experience is to go close to the fountain area and sit at the base of the stairs and simply enjoy the sound of the water gushing down. In the warmer seasons you will also find regular open air entertainment provided by the Cafesjian Foundation enjoyed by the public. 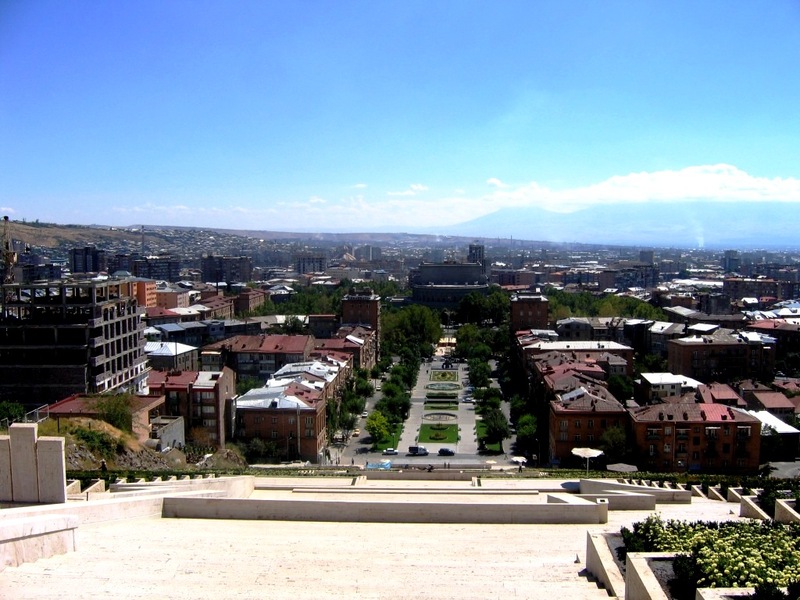 Mother Armenia & Victory Park | are up on the hill and outside of the main Yerevan “kendron” (central) area. Victory park, once a Soviet era park housing war memorabilia is now an amusement park/ entertainment venue. 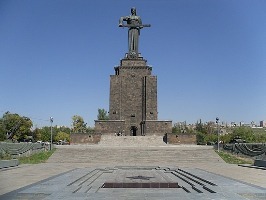 The Mother Armenia statue stands on a war museum. 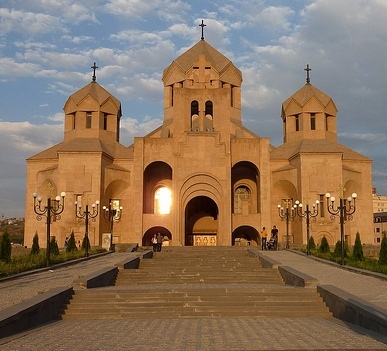 Surp Grigor Lusavorich Cathedral | is the newest built cathedral in Yerevan. 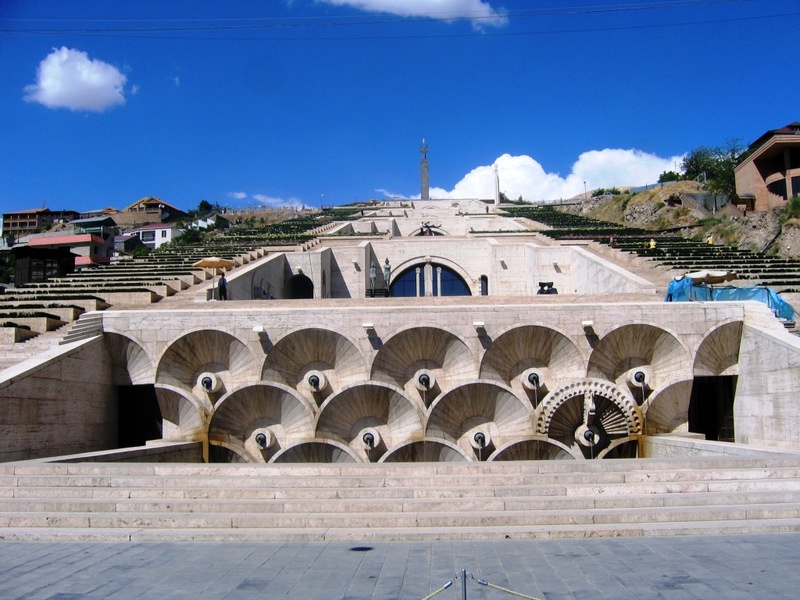 It was built to mark the 1700 anniversary of the acceptance of Christianity as Armenia’s national religion in 301 A.D. The enormous cathedral is quite impressive as you will note that there are no internal support columns. 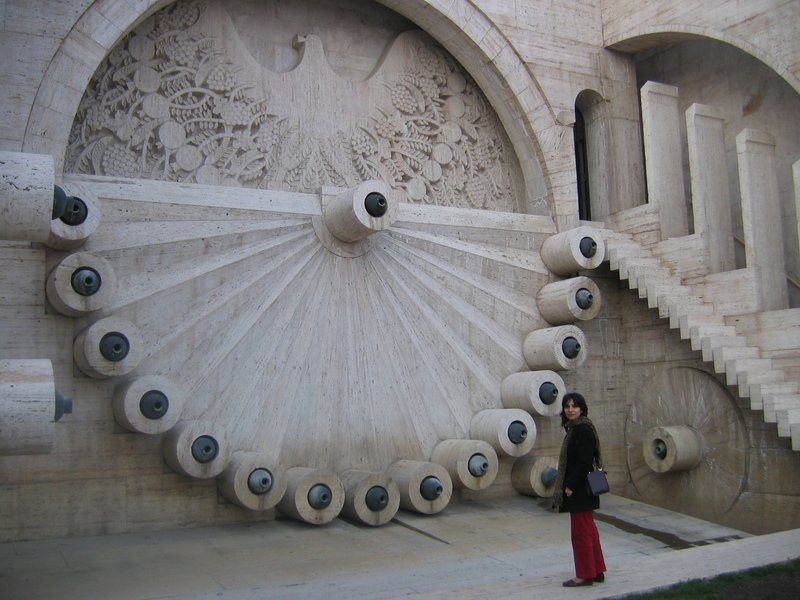 It is situated on Tigran Mets Street (close to Khanjian St.).